Dreaming of a vacation that envelops you in epic scenery? Our Utah & Arizona trips are tough to beat. Explore a labyrinth of towering red-rock spires in beautiful Bryce Canyon. Gaze in awe at the immensity of the Grand Canyon. Bike on crimson-colored roads past Zion’s incredible Checkerboard Mesa. 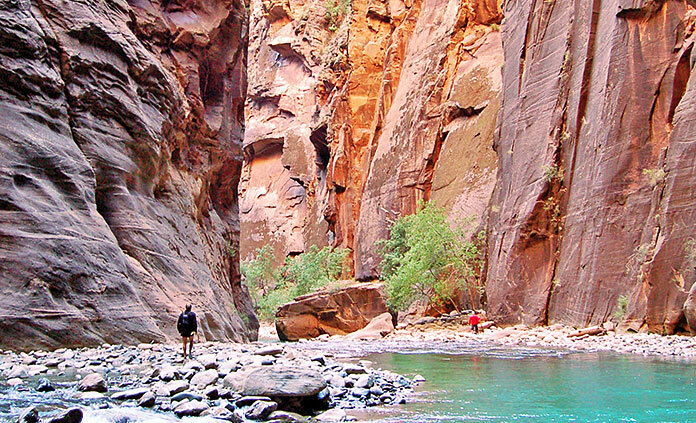 Prepare to get wet while exploring the Narrows, one of Backpacker magazine’s "Best Hikes Ever." Ready to be part of the adventure?